Native American Portraits: Points of Inquiry, the new exhibition in the New Mexico History Museum’s Mezzanine Gallery, features more than 50 exquisite, original prints taken from the mid-1800s to 1035. What makes them even more arresting are the more than 50 frames surrounding each photo. How we found them is one of the interesting little back-stories that so many museums have to tell. The show is hung in what’s known as a “salon style” exhibition, where the groupings look more like what you might see in someone’s living room than the standard march of photos across a wall most common in museums. 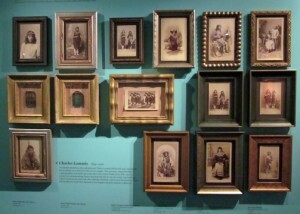 Given that, curator and archivist Daniel Kosharek, along with exhibition designer Caroline Lajoie, didn’t want a series of identical frames. But they lacked the funds to order up an assortment from your local frame shape. “It started with a few finds at a garage sale,” Daniel said. 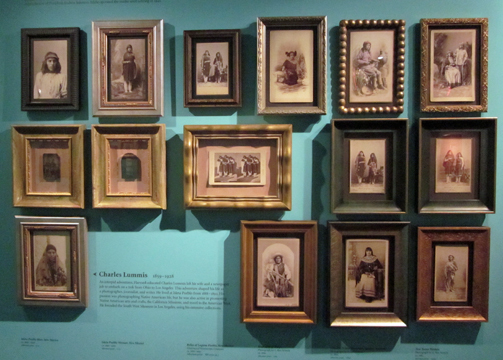 Andrew Smith, one of the co-curators of the exhibit and owner of Andrew Smith Gallery, provided three historically accurate frames for the Edward S. Curtis images. The Museum of New Mexico’s Conservation Department helped create several shadowbox-like frames to hold postcard images in a sort of suspended animation, rather than tacking them down. On Mother’s Day in 2014, the New Mexico History Museum plans to unveil a new exhibition, Painting the Divine: Images of Mary in the New World, featuring about 35 paintings from the museum’s Collier Collection. Most of them have been held in storage for a long time and, when they emerge, they’ll provide visitors with a glimpse of the earliest religious art created by artists in Mexico and South America. As part of the planning for the exhibition, the museum asked contract conservator Cynthia Lawrence to get up close and personal with a few of the paintings, which she did today. 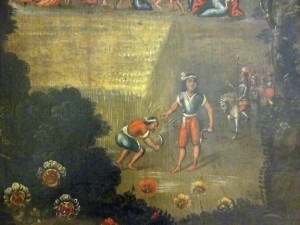 Most of the staff has never seen the paintings before, and we couldn’t help taking a peek and passing it along to you. The reason they were pulled from storage was to help us get an idea of what kind of shape the paintings are in and, from that, figure out how many we can afford to give facelifts to. As a first step, Cynthia tested a variety of solvents on small sections of each painting to see what it would take to remove discolored varnish and years of dirt, soot and grime. “Water is a solvent,” she said, “alcohols and petroleum distillates, and all kinds of thing with different properties are what we use.” Above is a portion of Flight from the Desert, painted by an unknown artist in Cuzco, Peru, in the 18th century. Cynthia worked on a portion of the halo area above Mary’s head with the solvents and also analyzed the chemical composition of areas where it looks as though an earlier restoration effort was made. 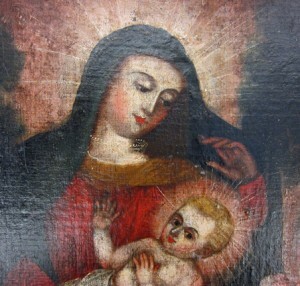 At left, she experiments with a solvent on Our Lady of Bethlehem, also painted by an unknown artist in Cuzco, Peru, in the 18th century. 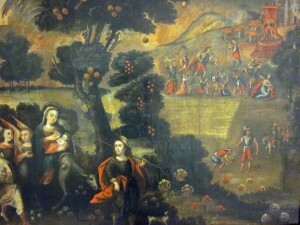 “Spanish colonial paintings in general tend to be in a little bit poorer condition than European paintings,” she said. “That might relate to climate but also probably because they didn’t have the same kind of trained restorers in centuries past. We tend to see not nearly as good a condition. They’ve hung in churches, which are public spaces. Sometimes well-intentioned cleaning people tried to clean them up who weren’t trained restorers. Once Painting the Divine comes together, more of those sorts of discoveries will come to light — along with, we hope, some of the more brilliant colors lying wait beneath the varnish and grime that Lawrence is providing a first assessment of. New Mexicans have continued to contribute to the Centennial Letters Project, which now has a home in the window of our front lobby. When you visit, you can read letters that others have contributed and pick up some postcards to leave at your school, library or business to prompt more writers. We like sharing bits and pieces of the letters with you on this blog, so here are a few of our more recent writers. Paul in Rio Rancho recalled some of the good times of his childhood in Hurley, New Mexico …..
Michael in Los Alamos brought us back to the earth — and the economy — of today …. …Last May I graduated with a Master’s degree from UNM. I have been looking for a real job ever since. Work has been hard to find, and I was forced to move back to my parents’ home. It used to be an anomaly for someone in their thirties like myself to move back into the home of their youth. Now it seems more common. Unfortunately the best work I have found of late is as an extra in a movie that is being filmed here. It is kind of funny, spending so much time and energy in getting a graduate degree only to get a job whose only qualification is the ability to grow lots of facial hair (the movie’s a Western). I hope that we have done enough to ensure that they (the ponderosas) and the rest of the amazing landscape of New Mexico remain to be enjoyed. I also hope that you will do what it takes to ensure that it remains for those that come one hundred years after you. Smile, breath deeply, be happy, and take care of yourself. Maybe you haven’t heard: Mother’s Day is this Sunday, and Father’s Day isn’t far behind. You can probably come up with plenty of other reasons to shower Mom and Dad with thanks—not the least of them being how well they put up with your teenage taste in music, cars and hairstyles. If you’re anything like us, you’ve already received reminders to buy flowers, choose a cologne, or order up a boxful of oranges. Nothing against those gifts (we happen to say “yes” anytime someone offers us ripe oranges), but this might be a year to think a little deeper about where our money goes and what it can accomplish. At the New Mexico History Museum/Palace of the Governors, we rely on grants and donations to pull together educational programs for our younger visitors, to offer lectures series and other programs, and to put up new and interesting exhibitions. 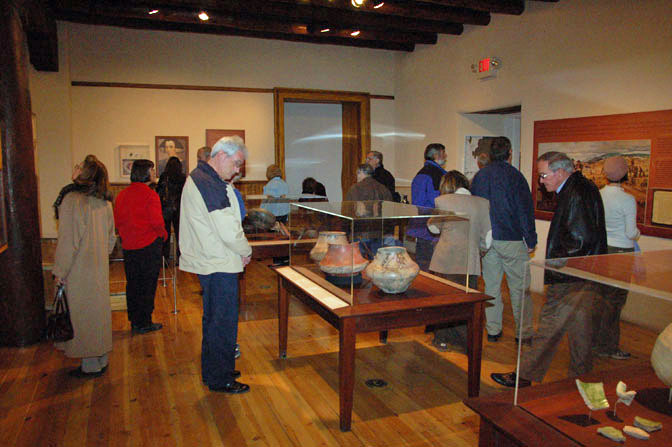 Since we opened in May 2009, some 350,000 people from all over the world have come through our doors to learn more about the enormous role New Mexico played in the shaping of the American West. We’re hoping you can help us continue generating that kind of enthusiasm—and we promise you’ll get something in return. A gift of membership in the Museum of New Mexico Foundation entitles recipients to a year’s worth of free admission to all four state museums in Santa Fe, the six monuments throughout the state, a subscription to the award-winning El Palacio magazine, plus discounts in our museum shops. Besides that, members receive regular updates about what’s going on in the museums and invitations to exhibition openings and other special events. A variety of “friends” groups exist within the foundation’s membership, and those participants get first crack at invitations to archaeological field trips, visits to artists’ houses, bus tours of historical towns, and other activities. Besides building your brain, our museums build friendships. 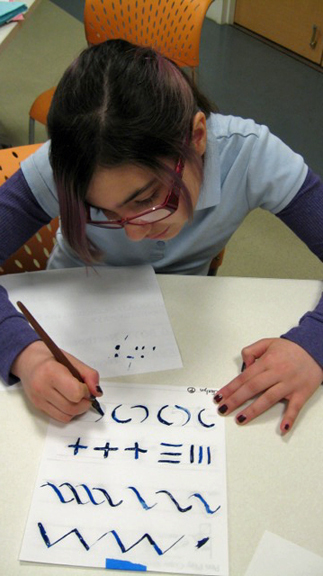 Membership starts as low as $30 for students and teachers. If you want to make a bigger splash, consider sponsoring or supporting an upcoming exhibition or a public program. (Gifts of $1,000 or more will place the name of you or a loved one on the wall of an exhibit.) You could pay for a bus to bring your children or grandchildren’s class, Scouting troop, or campmates to the New Mexico History Museum. You could sponsor a special event that brings history to life. 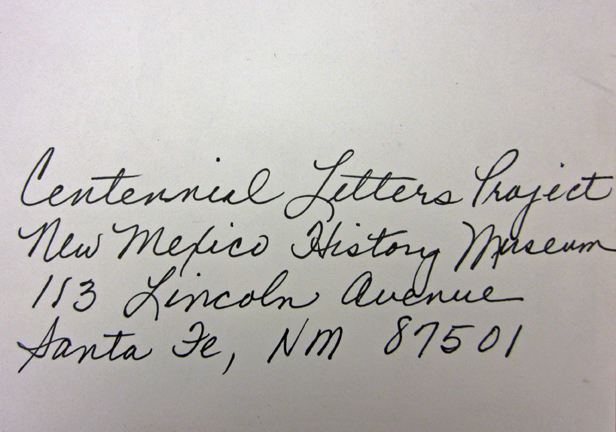 Gifts to the Museum of New Mexico Foundation are tax deductible. We encourage you to consider giving a gift that will last at least a year and help us continue kindling our visitors’ interest in the stories of our lives. 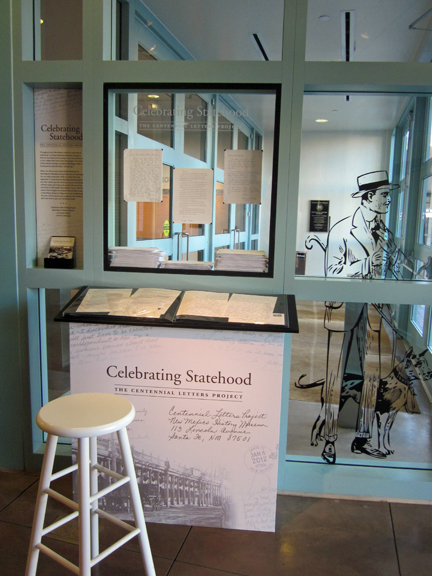 It’s official: Governor Susana Martinez has declared Thursday, May 3, “New Mexico Statehood History Day.” Thursday, not so coincidentally, happens to be the day the New Mexico History Museum and the Historical Society of New Mexico kick off three days of learning about statehood. Now, therefore I, Susana Martinez, governor of the state of New Mexico, do hereby proclaim the 3rd day of May 2012 as “New Mexico Statehood History Day” throughout the state of New Mexico. “Juan Dominguez de Mendoza: Soldier and Frontiersman of 17th-Century New Mexico,” by historians Marc Simmons and José Antonio Esquibel. “The Changing Character of New Mexico Statehood as Reflected by the Santa Fe Fiesta Celebration,” by Andrew Lovato, assistant professor of speech communications at Santa Fe Community College. “Butch Cassidy in New Mexico: His Winning Ways, Dancing Feet, and Postmortem Return,” by free-lance writer Nancy Coggeshall. “U.S. Army Nurses at Fort Bayard,” by Cecilia Jensen Bell, a researcher with the Fort Bayard Historical Preservation Society. “La Matanza: Conserving Identity through Food in Los Lunas,” by Daniel Valverde, an anthropology student at New Mexico State University. 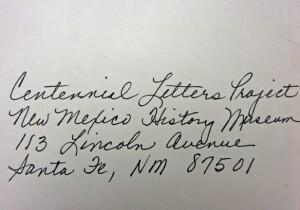 Founded in 1859, the Historical Society of New Mexico is the oldest historical society in the West. 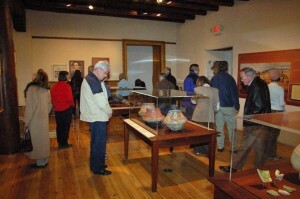 Its collections were incorporated into the original Museum of New Mexico, created in 1909 in the Palace of the Governors, and today represent an important part of the New Mexico History Museum’s holdings. 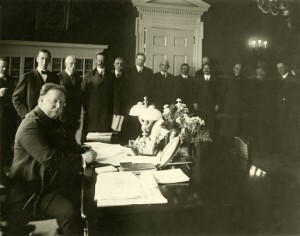 The society’s photographs, documents and books, collected from 1885 on, became the core of the museum’s Fray Angélico Chávez History Library and the Photo Archives at the Palace of the Governors. The Society began its annual conferences in 1974, and also publishes award-winning papers and news of history around the state in La Crónica de Nuevo México. Image above: Dignitaries join U.S. President William H. Taft as he signs New Mexico into statehood in Washington, D.C., on Jan. 6, 1912. Photo by Harris and Ewing. Palace of the Governors Photo Archives 89760. 10:30 am: Welcome and introductions by Dr. Frances Levine, director of the New Mexico History Museum; and Dr. Richard Melzer, professor of history at the UNM-Valencia campus. 10:45 am: Keynote address, “New Mexico Statehood, an Earlier Pereption,” by Dr. Robert Larson, professor emeritus of history at the University of Northern Colorado and author of the classic book New Mexico’s Quest for Statehood, 1846-1912. 11:30 am:“The Rough Road to Statehood,” by Dr. David Van Holtby, research scholar at the Center for Regional Studies, UNM, and retired associate director and editor-in-chief of UNM Press. He is the author of the forthcoming book, Forth-seventh Star: New MExico’s Struggle for Statehood, 1894-1912. 12:15 pm: Break (lunch on your own). 1:30 pm: “The Quest for Law and Order and New Mexico’s Struggle for Statehood,” by Robert Torrez, independent scholar and former New Mexico state historian. He is the author of more than 100 articles and books on New Mexico history, including the award-winning Rio Arriba, A Nexico County. 2:15 pm: “New Mexico Icons,” by Henrietta Martinez Christmas, noted New Mexico historian and genealogist who has written more than 100 articles and books on New Mexico history, focusing on the history of New Mexico families. 3:30 pm: Open discussion with Dr. Melzer and other presenters. 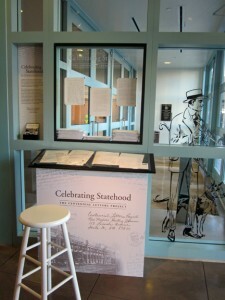 The event is supported by a grant from the New Mexico Humanities Council. Free admission has been generously donated by the History Museum and the Museum of New Mexico Board of Regents. 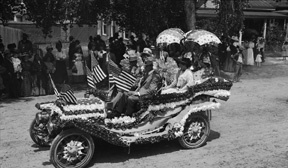 Image above: A 1912 parade float in Santa Fe. Palace of the Governors Photo Archives 118354.